On Thursday, February 28th, 2019, we held a webinar titled: “Tackling Root Causes: Addressing Mass Migration at its Source.” Below are the slides and the webinar recording. My name is Bill Canny. I am the Executive Director of the Department of Migration and Refugee Services (MRS) within the U.S. Conference of Catholic Bishops (USCCB). On behalf of USCCB/MRS, I would like to thank the House Judiciary Committee, as well as the Committee Chair Representative, Jerrold Nadler (D-NJ), and the Ranking Member, Representative Doug Collins (R-GA), for the opportunity to submit this written statement for the record. 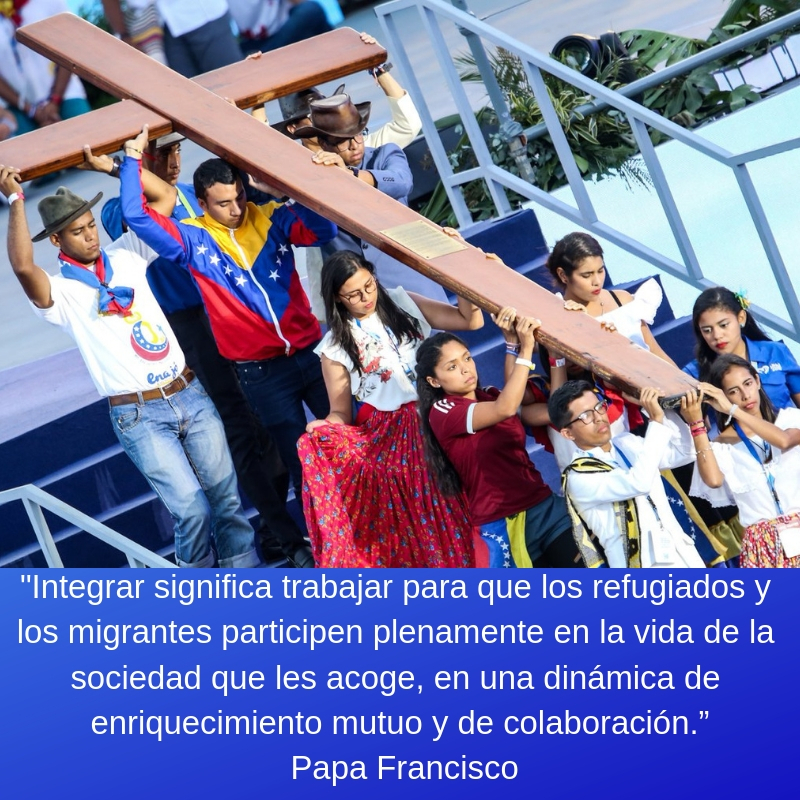 The treatment of immigrants and protection of family unity are of profound importance to the Catholic Church. 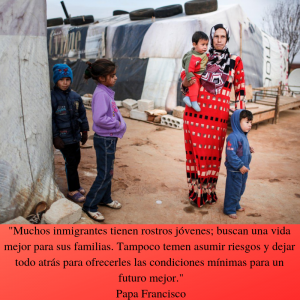 USCCB/MRS has long supported and served unaccompanied children and immigrant families. And, in the wake of the Department of Justice’s (DOJ) April 6, 2018 “Zero Tolerance” memorandum, USCCB/MRS had the opportunity to assist the federal government in its effort to comply to reunify separated families. Through this effort, USCCB/MRS worked on a charitable basis to reunify and serve nearly 900 of the separated and reunified families. With this experience, USCCB/MRS, through the national Catholic Charities network, is the single largest service-provider for this vulnerable population. While USCCB/MRS appreciated the opportunity to assist and reunify these families, the Church has been and continues to be a vocal opponent of forcible family separation. As Cardinal DiNardo, President of the USCCB, and Bishop Vasquez, Chairman of the USCCB Committee on Migration noted: separating babies from their mothers is immoral. In this statement, I provide a brief overview of USCCB/MRS’ experience serving separated children and reunified families and then share recommendations to promote their humane and just treatment by the U.S. government. USCCB/MRS has operated programs, working in a public/private partnership with the U.S. government, to help protect unaccompanied children from all over the world for nearly 40 years. Since 1994, USCCB/MRS has operated the “Safe Passages” program. This program serves undocumented immigrant children apprehended by the Department of Homeland Security (DHS) and placed in the custody and care of the Department of Health and Human Services’ Office of Refugee Resettlement (ORR). Through cooperative agreements with ORR, and in collaboration with community-based social service agencies, the Safe Passages program provides community-based residential care (foster care and small-scale shelter placements) to unaccompanied children in ORR custody, as well as family reunification services (pre-release placement screening and post-release social services for families). In fiscal year 2018, the USCCB/MRS Safe Passages program served 1,125 youth who arrived as unaccompanied children—907 through the family reunification program and 218 children through the residential care programs. Additionally, the Catholic Church in the United States has long worked to support immigrant families, providing them with legal assistance, pastoral accompaniment, and visitation within immigrant detention facilities, as well as social and integration assistance upon release. As a long-time service provider for unaccompanied children, I note that separation of families at the U.S./Mexico border has been occurring for years in instances in which child protection concerns exist. Beginning in August 2017, however, our program began to receive a notable increase in referrals of separated children. Our staff and partners saw firsthand the terrible trauma that these children suffered after being torn away from their parents. Many of these children suffered terrible anxiety and, in some cases, developmental delays. Gloria was forced to flee Central America with her two sons, Marco, age 14, and Juan, age 9. The family had been the target of extortion in their home country. After Gloria reported the extortion, the police retaliated – not only did they beat her, breaking her arm, but they also claimed she was gang affiliated. After receiving a death threat shortly thereafter, Gloria took her sons and headed to the U.S. in search of protection. She was apprehended by Border Patrol officers on June 20, 2018 and taken into custody, where she and Juan were separated from Marco. Although Juan fell ill and began to vomit, he received no medical attention. After five days in custody, she and Juan were transferred to a family detention center while Marco was deemed unaccompanied and sent into ORR care. After a brief stint in family detention, she was told that she would be separated from Juan due to her “criminal history” (the false gang affiliation claimed by the police in her home country). Despite Gloria’s attempts to explain her asylum claim and lack of criminal history, including sharing the police report she filed against the corrupt police officers, she and Juan were separated. She was given five minutes to say goodbye to her son on July 1, 2018 before he was dragged away screaming to be deemed by the U.S. government an unaccompanied child. The trauma Juan faced was compounded by the fact that he has autism, ADHD, disruptive behavior disorder, and language delays. And while the family eventually was able to reunite, it was nearly three months before they were all together again. While the magnitude of the family separation crisis significantly lessened after the June 20th Executive Order and June 26th preliminary injunction in Ms. L., et al. v. U.S. Immigration and Customs Enforcement, et al., the problem has not been solved – families like Gloria’s continue to be ripped apart unnecessarily. In addition to serving unaccompanied and separated children through the Safe Passages program, from July 2nd through July 30th, USCCB/MRS worked in partnership with Lutheran Immigration and Refugee Service (LIRS) to assist both DHS and the Department of Health and Human Services (HHS) in their work reunifying separated families. Besides providing initial humanitarian and reunification assistance, USCCB/MRS provided access to social and legal service and case management. USCCB/MRS provided these charitable services because of our belief that such services would help support the separated families, reduce their ongoing trauma, and help ensure positive compliance outcomes. As detailed in our joint report, “Serving Separated and Reunited Families: Lessons Learned and the Way Forward to Promote Family Unity,” HHS had initially contacted USCCB/MRS on July 2nd about possible engagement with the soon to be reunited families. HHS expressed concern about the well-being of the families upon release and noted a desire to ensure that the families would have access to social services. Subsequently, on July 5th, DHS contacted both USCCB/MRS and LIRS to similarly discuss reunification operations. While neither DHS nor HHS had a clearly developed plan for reunification at the time, both departments wanted to ensure that families had support upon release. During the reunifications, USCCB/MRS partners provided released families with immediate shelter, a hot meal, change of clothes, shower, and assistance with making travel arrangements to the reunified family’s intended destination in the United States. The two agencies served a combined 1,112 families, with USCCB/MRS and its on-the-ground partners serving 897 of these families. While serving these families was an incredibly rewarding experience, the process was not without its challenges. As an initial matter, many families were dropped off at reception sites well into the night – placing a strain not only on the staff at the sites but also adding to the families’ confusion and stress. Coordination, both intra- and inter-agency, also appeared tenuous or lacking in many instances. For example, USCCB/MRS documented instances in which DHS’s Transportation Security Administration officers at certain airports refused to accept the families’ identification documents provided by DHS’s Immigration and Customs Enforcement (ICE) officials. This lack of coordination resulted in newly reunited families experiencing long delays, missed flights, and additional hurdles as they sought to reach their final destinations. Another major challenge faced by all of the USCCB/MRS reception sites was that many of the newly reunified and released families arrived at the reception centers with their immigration paperwork, such as the Notice to Appear (NTA) and the ICE check-in information, completed with the wrong address. Rather than listing their final destination, the documents would list the address of the particular reception site or the immigrant detention facility itself. Upon elevating this issue, ICE attempted to change the addresses of those families who were to be reunified and released prospectively. Some of the reception centers, however, continued to receive NTAs for families that had already moved on to their final destinations in other cities. Further, USCCB/MRS partners reported that many families faced challenges with timely filing their change of address forms and change of venue requests with the Executive Office for Immigration Review (EOIR). The biggest challenge, however, has been addressing the families ongoing needs. USCCB/MRS and LIRS made the commitment to provide to each of the reunified families they served with up to three months of post-release services in their final destination cities. These services included social services, a legal orientation, and a referral to a qualified and trustworthy low or pro bono legal services provider. While not all families desired post-release services, USCCB/MRS was able to provide further assistance to nearly 700 families. Through this process, USCCB/MRS found that many of the reunited families are experiencing symptoms of trauma, including separation anxiety. Further, longer-term post-release services are clearly needed. The three months of services provided by the agencies could typically only address the families’ immediate needs in their new communities. Often, it is only at the point in which these immediate needs are addressed that families are ready to start tackling the trauma and stress from which they suffer. In light of our experience serving separated children and families, and in recognition of their ongoing trauma and vulnerabilities, we would like to share the following recommendations for the Administration and Congress. Rescind the Zero-Tolerance Policy. DOJ should formally rescind its April 6th memorandum on “Zero-Tolerance for Offenses Under 8 U.S.C. § 1325(a).” This is not to suggest that prosecutions could never be brought for such offenses, but it would restore federal prosecutors’ ability to utilize their discretion and balance various factors when determining whether it is appropriate to bring such a case forward. At a minimum, exceptions should be explicitly made to the memorandum to address families seeking protection. Absent reasonable child protection concerns, the S. government should not separate children from their parents. While there are times when separation is appropriate due to abuse or trafficking concerns, unnecessarily separating families is in direct conflict with basic child welfare principles, causes children life-long harm, and is ineffective to the goals of deterrence and safety. Separating families will not cure the pervasive root causes of migration existing in the Northern Triangle of Central America today. Factors such as community or state-sanctioned violence, poverty, lack of educational opportunity, forcible gang recruitment, and domestic abuse are compelling children and families to take the enormous risks of migration, including the possible additional risk of family separation at the border. Institute Clear Criteria for “Good Cause” Separations and Require Detailed Documentation for Separations. In consultation with HHS and NGOs with relevant expertize, DHS should develop and make publicly available detailed criteria it uses to determine when it is in the best interest of a child to be separated from his or her parent or legal guardian (“good cause separations”). Further, every incidence of family separation should be clearly recorded and the explanation for separation, including specific criminal charges, should also be documented. This information needs to be readily shared and accessible to all component agencies of DHS, as well as ORR. In particular, the location of the separated family member needs to be shared with ORR at the time of the child’s referral in order to ensure prompt communication between child and parent, if appropriate. Additionally, DHS policy guidance should denote that even if family relationships are questioned, the alleged relationship must be documented. Delineate Administrative Responsibility on Family Unity and An official “Family Unity” Ombudsman should be appointed to monitor future incidences of family separation. This position should be within DHS as it is the agency with the greatest visibility at the point of separation. Create a Standing Interagency Task The Family Unity Ombudsman should lead the creation of an interagency task force on family separation that meets quarterly with NGO and government stakeholders. The task force should be required to provide DHS-OIG, DHS-CRCL, and Congress with annual reports on family separation that include, in part, aggregate data on family separations broken out by reason for separation, including specific category of “criminal history.” It should also be responsible for monitoring monthly reports by DHS and ORR on family separation rates and cases. In the event that that the monthly number of family separation cases increases by more than 20% from the previous month, the Family Unity Ombudsman should be required to issue a report to Congress, as well as a corresponding public press release, within 30 days. This report and press release should discuss the increase in separated families, suspected causes, and any remedial actions being taken. Finally, the task force should issue a one-time report to Congress on: (i) the number of children separated from parents or legal guardians by DHS during FY 2017 and FY 2018 prior to the court’s preliminary injunction during; (ii) the percent of such children released by ORR to category one, two, and three sponsors, respectively; and (iii) the percent of these children that received government-funded post-release services. Ensure Immigration Paperwork Reflects Families’ Final Destination Cities. As a general practice, DHS should issue NTAs and other discharging immigration paperwork with a family’s final destination address, rather than the address of the reception site or the site of the immigration detention facility court. Failing to put the correct address on immigration paperwork makes it difficult for families to attempt to comply with their proceedings. In the family detention context, ICE already lists the final destination address of the individual that they release. We urge ICE to ensure that the appropriate address is listed for all arriving families. Streamline Change of Address and Venue DOJ should streamline the process for non-citizens to change their address and move to change their venue for immigration hearings. EOIR should collaborate with DHS to formulate a single unified change of address form (available in Spanish and other languages) that, when submitted physically or electronically to EOIR or any ICE office or contractor, would automatically trigger an update of a noncitizens address with all relevant immigration agencies and EOIR. This unified form would streamline the process, reducing the burden for not only the noncitizen but also for DHS and EOIR. Support Robust Funding for Post-Release Ser Congress should ensure, through the appropriations process, that all separated children released to parents or guardians receive post-release services from ORR to address their trauma. Further, given their ongoing needs, Congress should also ensure that federal funding is dedicated to providing additional support services to the reunified and released families. Support Additional Trafficking and Trauma-Informed Training of CBP Officers. Congress should ensure, through the appropriations process, that DHS has resources to institute additional training for its Customs and Border Protection officers. These trainings should engage NGOs with relevant expertise in identification of human trafficking and in trauma-informed and child-friendly interviewing techniques. Maintain Existing Protections for Unaccompanied and Accompanied Children. Congress should ensure that it maintains critical protections for all immigrant children; it should reject any legislation that seeks to alter existing safeguards relating to detention of children in unlicensed facilities and processing of unaccompanied children at the border. Immigrant children should be viewed as children first and foremost. Immigration policies implemented by our government must be humane and uphold human dignity. While our nation will never be able to rectify the life-long trauma it has inflicted upon separated families, we can and must ensure that no child or parent ever has to face unjustifiable separation again. As always, USCCB/MRS stands ready to work with the Administration and Congress to help develop policies that uphold family unity and the best interest of the child. Names and identifying information changed to protect client confidentiality. U.S. Conference of Catholic Bishops and Lutheran Immigration and Refugee Service, Serving Separated and Reunited Families: Lessons Learned and the Way Forward to Promote Family Unity (2018), available at https://justiceforimmigrants.org/wp-content/uploads/2018/10/Serving-Separated-and-Reunited-Families_Final-Report-10.16.18-updated-2.pdf. Please find a full list of recommendations available in our report, “Serving Separated and Reunited Families: Lessons Learned and the Way Forward to Promote Family Unity.” Id.